What’s the Weather like in Cancun? We know that all Cancun travelers are visiting us seeking SUNSHINE and the Cancun weather forecast is of major importance when planning a vacation. In general, the weather in Cancun is pretty much “perfect”, warm temperatures and a lot of sun. The semi-tropical climate means a Cancun average temperature of 78 F/ 26 C, ideal for all your exciting tours and activities or just laying on the beach! When is the Cancun rainy season? Cancun has two distinct seasons, “wet” and “dry”. The rainy season is in the summer months between May and October, also known as the Cancun hurricane season. The temperatures are higher as is the chance of rain in Cancun, but in general the showers are quick and pass by without anyone even leaving the pool. The rain can come down hard but the next minute you’re watching the rainbow and ordering more ceviche. A Cancun hurricane or tropical storm may occur during these hot summer months, though in the last 30 years the city has only been hit directly three times, meaning the chances of some seriously bad weather are low. It is always recommended to purchase travel insurance and particularly so in the hurricane season in Cancun, giving you the peace of mind that you are protected in case of a serious weather event. What is the temperature in Cancun? 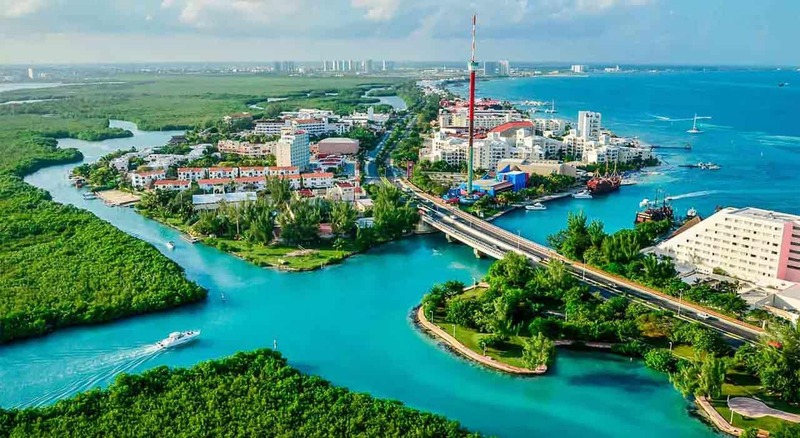 The average temperature in Cancun is 78 F/ 26 C, but it will have highs up to 90 F/ 32 C or more in the summer and lows down to 70 F/ 21 C. In rare cases the temperatures will drop lower but it is very uncommon! The winter months you may want to pack a sweater or light jacket for the cooler evenings, but no parkas are necessary. What’s the best time to visit Cancun? Anytime, you are always welcome, there is really no BAD time to visit Cancun! In terms of Cancun weather, the best time to visit is during the dry, cool season, during the months of January to April you can count on great temps and little to no rain. The Cancun humidity is highest in the summer months with the heat but you can always refresh in the sea or the pool.